Railex, the filing specialists, have entered into a partnership with Exertis Supplies giving office products dealers the opportunity to purchase the quality Railex range through this great wholesaler. Exertis Supplies continue to be one of Europe’s fastest growing distributors in this industry. Their philosophy of working closely with their customers, unique manufacturer relationships along with a reliable, efficient and quality service enables them to deliver the right products every time. 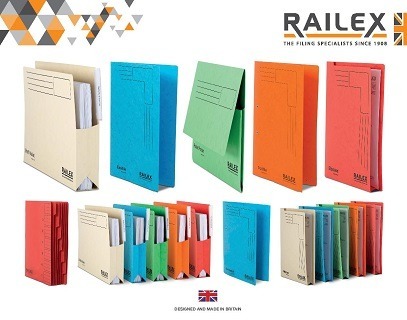 Paul Shawcross of Railex commented: “Railex are delighted to now be working with Exertis Supplies to offer their Dealer customers our unique Premium range of Files & Folders.